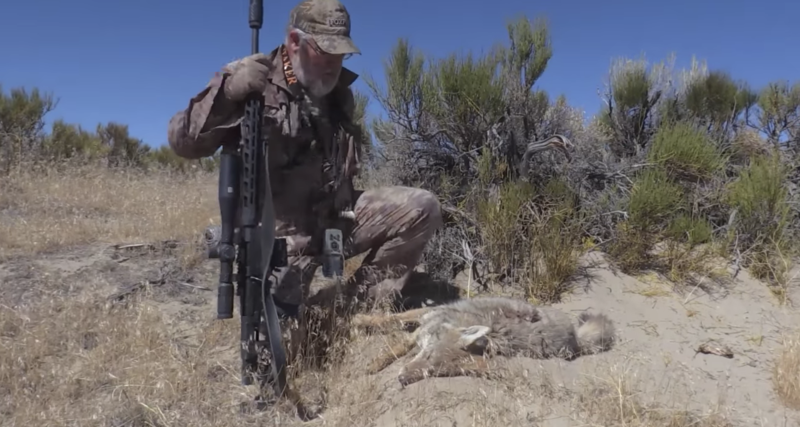 PredatorVIDEO: What Happens in the Desert on FOXPRO Hunting TV? When they hear howls, yips and cries from hundreds of yards and come running on a string, it gets the adrenaline pumping. Watching for movement and then seeing one or more coming is a rush. If you have an electric caller like those from FOXPRO you can set specific sounds or routines on the unit, hit the remote and then wait for the action. World champion caller Al Morris and videographer Jordon Argyle put their skills to the test in Nevada in the latest episode of FOXPRO Hunting TV. Watch to see if they can score a songdog double and then visit their YouTube channel for more episodes.